Britton Diamonds Couture Collection, Pink Tourmaline is a gentle gem that directly touches the heart, This vibrant Pink Tourmaline of 5.56ct from exotic Madagascar, is set in a brilliant sea of scintillating diamonds with 18K rose gold support features matching the Tourmaline. 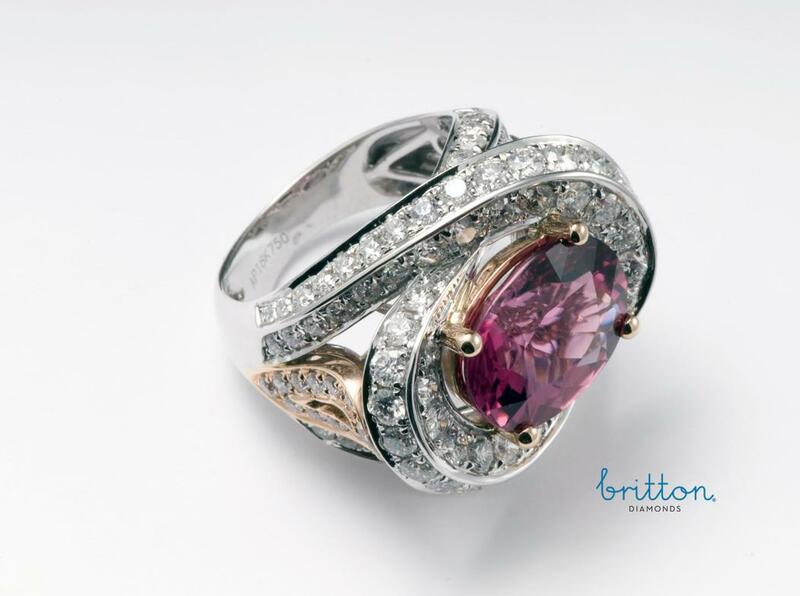 A dazzling original design to be cherished for a life time. SKU: 190-00071 Categories: Precious Gem Ring, Rings. 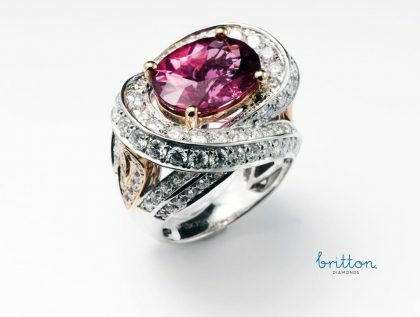 Tag: Pink Tourmaline & Diamond Ring; Rose Gold Pink Tourmaline & Diamond Ring.